A propaganda book from Mao’s China. Letters from a Red Cross volunteer in Asia to her friends back home on Long Island during World War II. An 1891 book on how to put on a minstrel show. 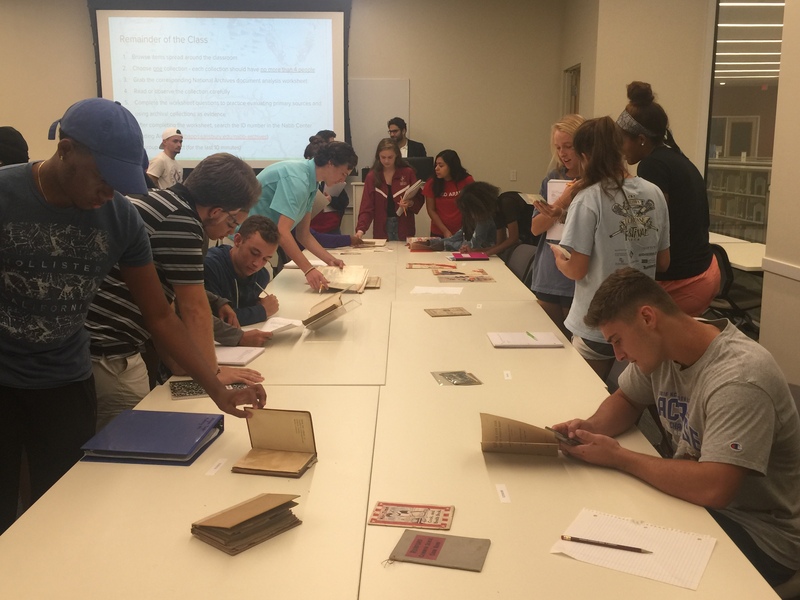 These were some of the items from our special collections in the Nabb Center that students in Emin Lelić’s HIST 102 classes used as the basis for documentaries in the fall 2018 semester. Working with faculty members to teach students how to find and use the best sources for their research projects is the best way for the SU Libraries staff to help students develop substantial research skills. Many times, faculty will invite us to teach what librarians call a “one-shot” information-literacy session. In these sessions, a librarian will try to teach the students several key aspects of searching for, finding and using high-quality information. We know, however, that students learn more if they have a chance to practice and if they are exposed to a topic multiple times. In 2018, the SU Libraries began a new program of giving course enhancement grants to faculty members to support the development of sustained and meaningful partnerships with librarians. One of the faculty members winning a grant was Emin Lelić, an assistant professor of history, who partnered with Ian Post, the university archivist and special collections librarian. 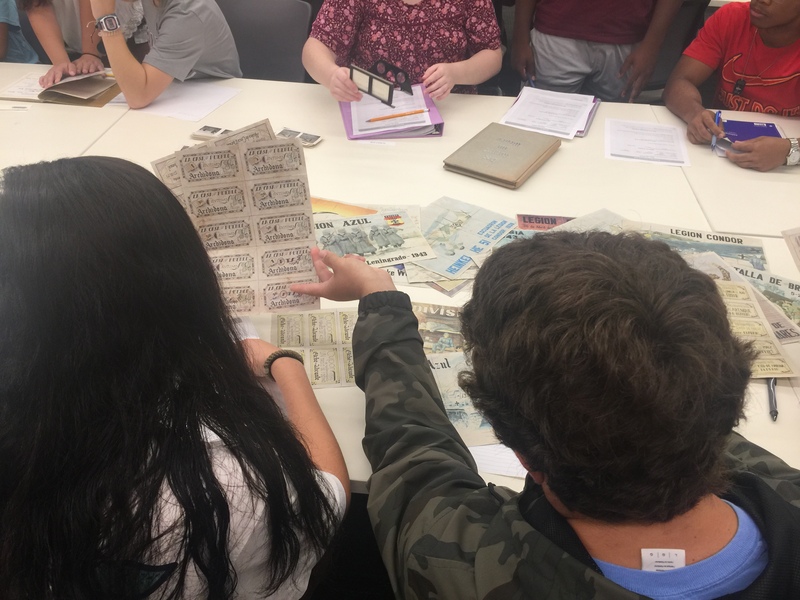 They refined a project (described in the first issue of Library Matters) to have students use materials in the Libraries’ special collections in the Nabb Center to create documentaries. Read Dr. Lelić’s explanation of the assignment and find below three student projects. You can also read comments by several of the students who created those projects as well as Post. Please be aware that some of these documentaries may include disturbing images or language found in the historical sources they used.